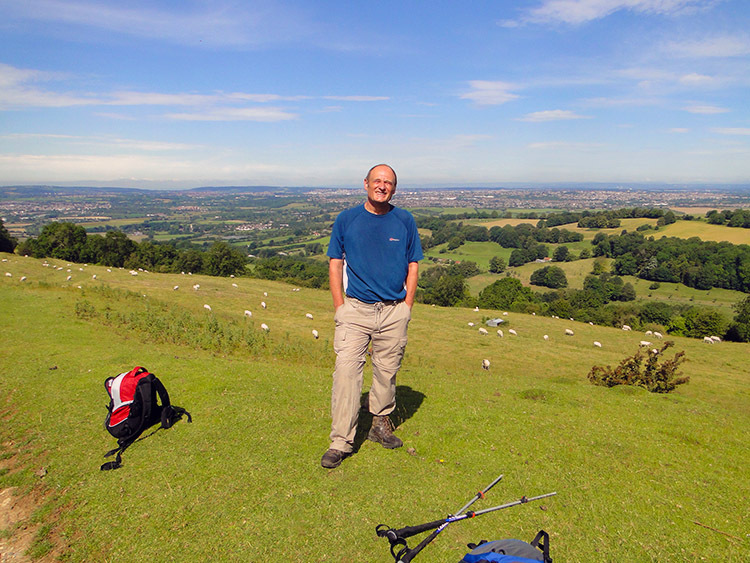 The last stage of my week on the Cotswold Way phase of my Great British Walk was a great finale to the National Trail and one in which I felt like being up in the hills again, especially on the final push into the historic City of Bath. From Cold Ashton I followed lanes, crossed fields and climbed to the site of an English Civil War battle which was the starting point of my final ridge top walk on the Cotswold Hills. It took me to Hanging Hill and further around the western side perimeter of Bath Racecourse to Prospect Stile, a popular view point. With Bath now clearly in view I followed the hill top to Kelston Round Hill which marked the point where the Cotswold Hills ended by descending on an even line to Dean Hill and then Penn Hill before terminating just before Bath. My walk on the Cotswold Way went a little further to end in the city centre. The third spectacular morning in a row greeted my awakening. Wow, things had certainly changed for the better. I was itching to go and while having breakfast at my accommodation I kept looking out to the perfect blue sky, hoping it would stay all day with me this time. The forecast said it would. While having breakfast Chris Burton had arrived and waited patiently for me to finish eating and prepare for the off. Chris was a Business partner in a project I had set up at work, a project which was ongoing during my walking sabbatical. Having said hello to Chris and goodbye to my one night hosts we were on our way. It was warm from the start as we set off walking from Cold Ashton along a lane and across the A46 Gloucester to Bath road to follow metalled Greenway Lane past one farm and to a second where the tarmac petered out. 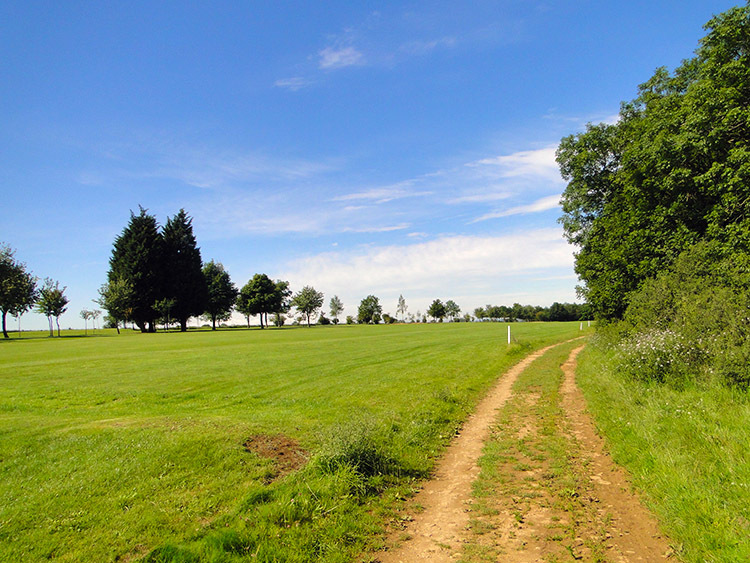 We then crossed a couple of open fields and past a dyked pond before crossing more pastoral fields and then along a lane to reach the site of the Battle of Lansdown, an English Civil War conflict fought in 1643. 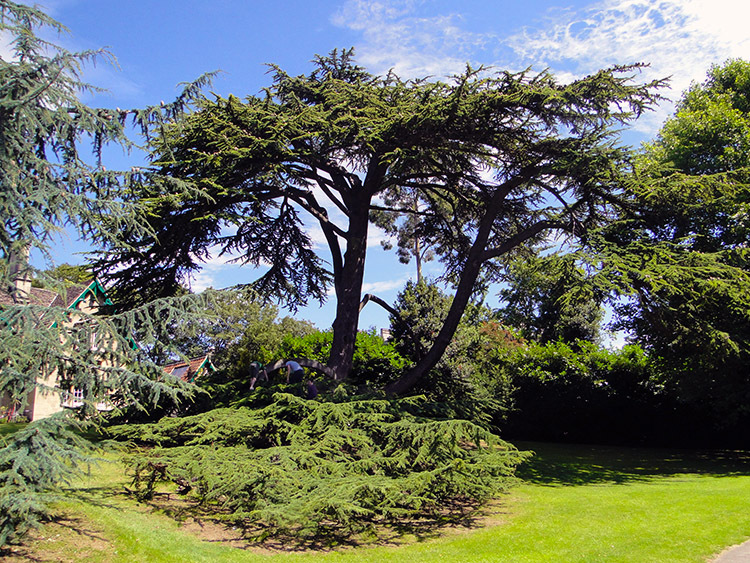 There is a monument to Sir Bevil Grenville, one of the fallen leaders on the site. I would like the monument to represent all who fell on the battlefield that day. The site did not resemble a battlefield now though, all was peace and quiet. Chris and I had climbed over 100 metres from when near the dyked pond to the battlefield but hardly noticed. The climb had been an even and gentle one and we had been chatting throughout, catching up a little about the project I had left in good hands but more about personal things. Chris was ex Navy and was now teaching his sons in the art of sailing. It was a skill alien to me but I was happy to hear how he was getting on with the education of his boys. Chris was also very interested on how my walk was going and on the events of the previous 61 days walking. I was telling him the best of what came to mind. We climbed for 140 metres in total before we crested our high point of the day at Hanging Hill. 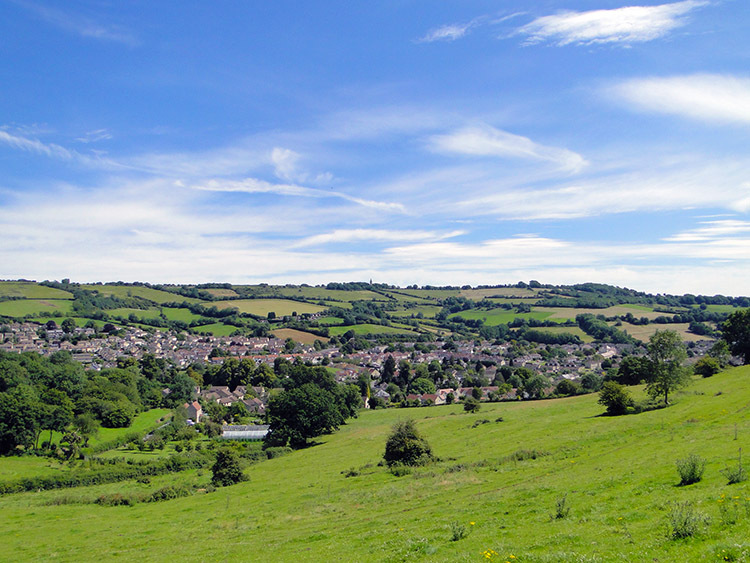 Now our end point for the day, the City of Bath was clearly in view set down below us to the south-west. 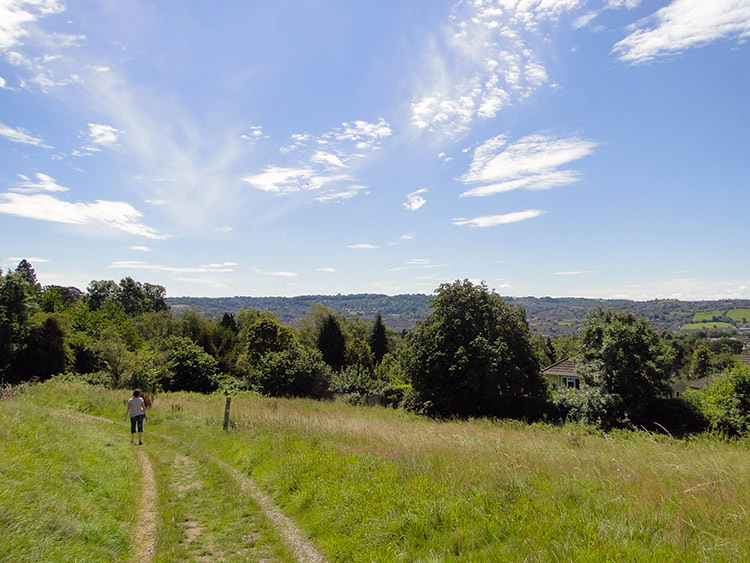 The city already looked in touching distance but I knew we still had some way to go which began with a walk due south directly towards Bath Racecourse. As we did so I walked out of Gloucestershire after seven days of walking from just north of Chipping Campden and I walked into the County of Somerset. 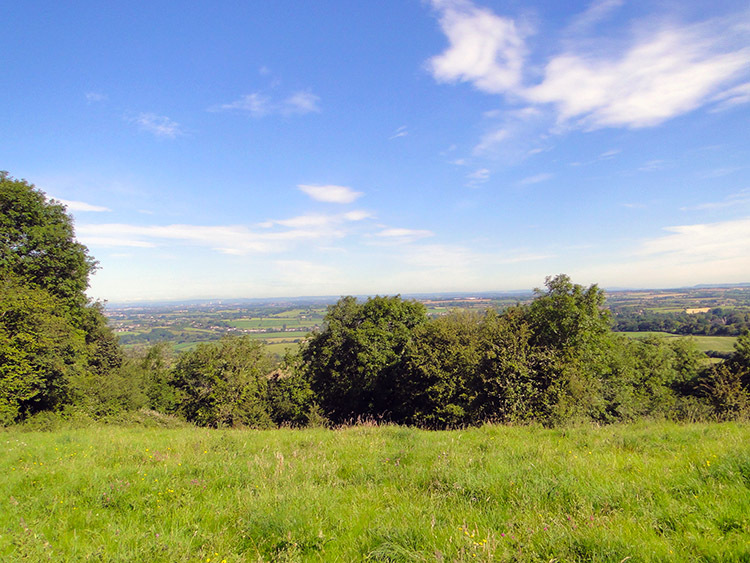 We entered the county when we reached Lansdown Hill. We could just about make out the buildings of the racecourse on the far side of the golf course of Lansdown Golf Club which was between us and the racecourse as we walked around it southbound and then westbound. which brought us to Little Down. Little Down is the site of yet another hill fort of which I had seen many on my Cotswold Way walk. 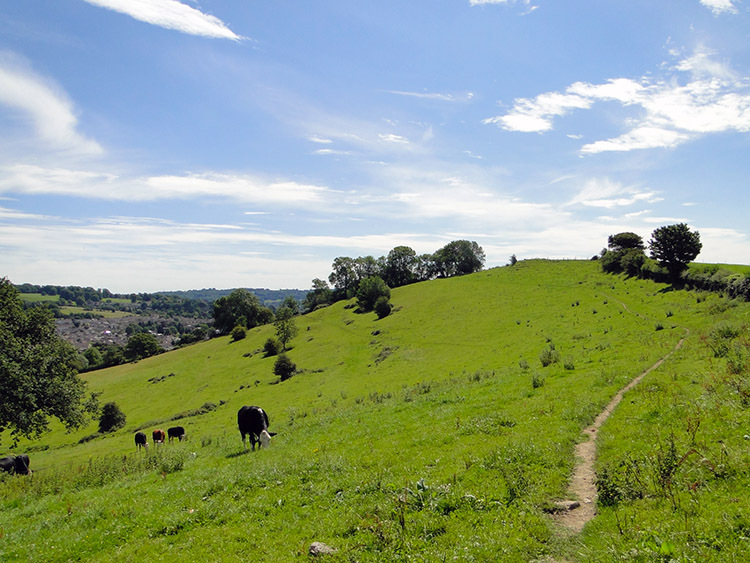 The hill fort, also known as North Stoke Promontory Fort stands at a fantastic viewpoint on a tight corner of this most southerly of Cotswold Hills escarpments. It has the best of views north,west and south as it juts out from the most westerly point of the entire scarp line which extends from Hanging Hill which we had passed to the north-east and Dean Hill which we were heading for in the south-east. From the site of the hill fort Chris and I ambled along near to the edge of the escarpment ourselves and took in the same exquisite views the hill fort occupants will have enjoyed in ancient times. There was a blatant difference in the view now and then though. We could see a great city, a patchwork of fields, some hedged, some fenced and some tree lined and with small woods here and there. The hill fort people will have seen much more woodland and much less clearing which will only have grown bit by bit over time as farming practices began to spread over the land. 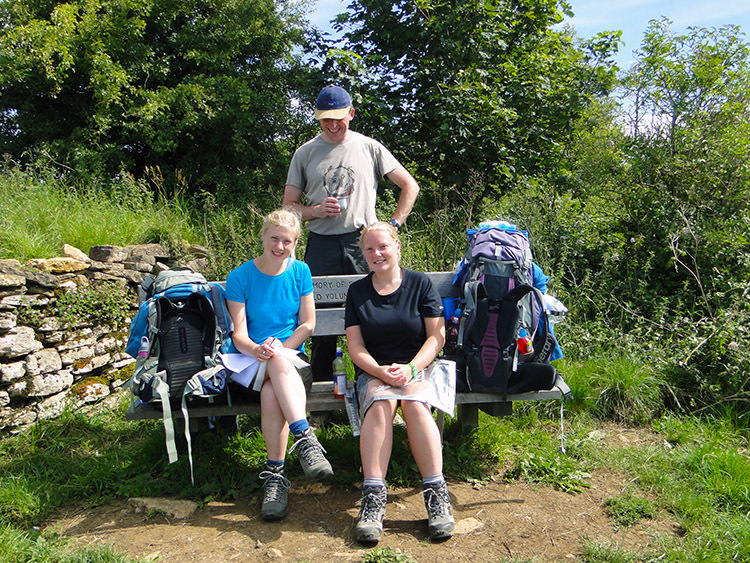 Continuing on our way Chris and I arrived at Prospect Stile where we met two young ladies resting on the bench which has a fantastic view looking over the City of Bath. I noticed they had backpacks as big as mine and all the camping gear too. They told us they had just walked up from Bath and had such a long way to go over the next couple of months. I told them I was walking down to Bath and with just about three weeks to go my end point was getting closer and closer. One of the young ladies was struggling with blisters and I tried to hearten her by telling her of my travails in Scotland when on occasions I found it hard to put one step in front of the other. I told her I felt invincible now and when she was at the other side of her pain then so would she. I hope it helped. We continued on our way down from Penn Hill to Weston and in doing so I effectively left the line of Cotswold Hills which I had first joined when climbing up from Chipping Campden to Dover's Hill. It had been quite a journey over the hills and a very memorable experience. 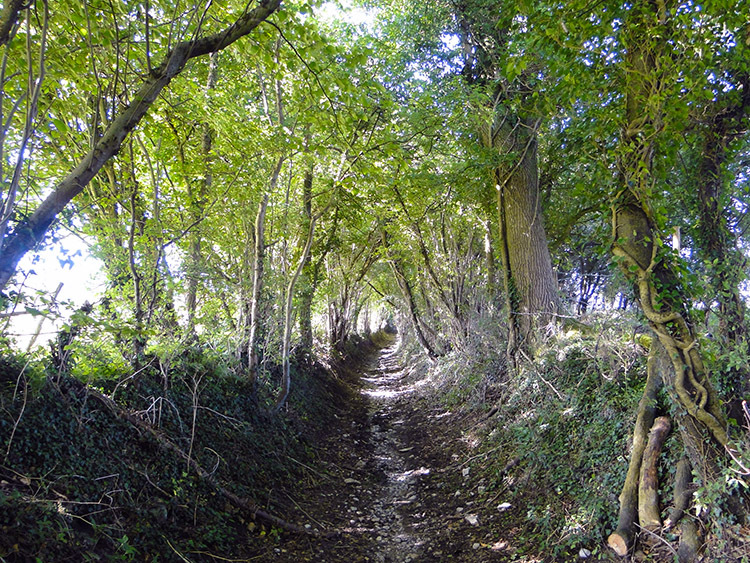 Yet my Cotswold Way was not yet done. I had a few miles to go. While walking down to Weston I had been drawn to look up to my left, to a tower rising up on the far hill above the tree tops. Chris told me it was Beckford's Tower. 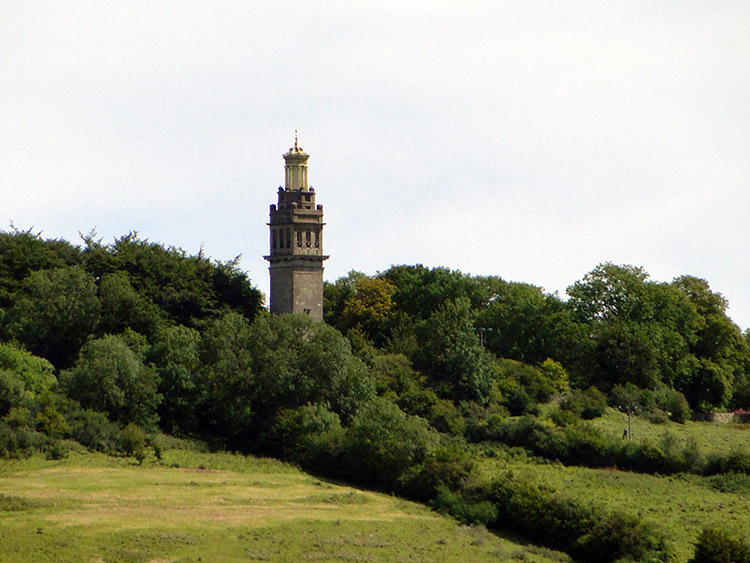 The tower, dedicated to local magnate William Beckford, was completed in 1827 and originally known as Lansdown Tower. The extraordinary structure was once home to one of the greatest collections of books, furniture and art in Georgian England. It is now a Museum. Chris and I walked into Weston which was originally a village but which is now firmly attached to Bath. I could still feel a sense of village as I walked through, the high street having a sense of character and individuality. There were impressive buildings all around Weston and characterful shops in the village too. Not like the rows of chain stores and coffee houses which make many shopping areas of England look like clones of one another. Weston was a nice place. 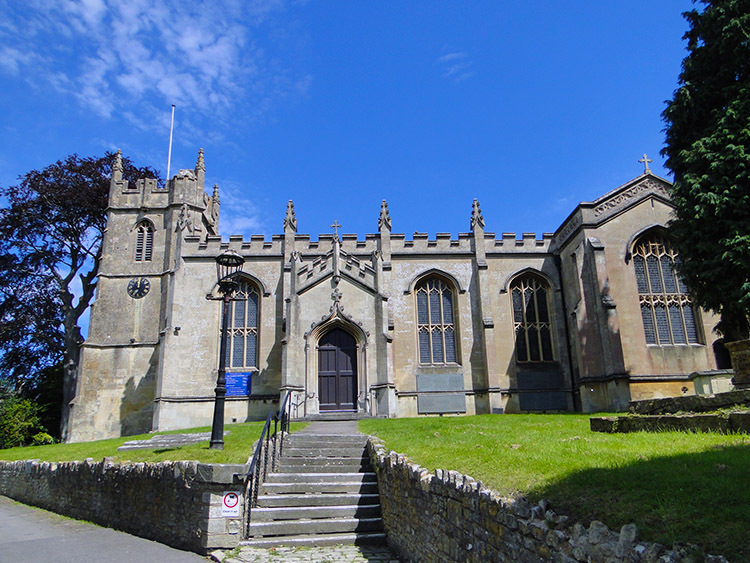 Weston also has a very nice church, All Saints being set in an elevated position just one street away from the main street. I enjoyed the walk past the church and the one into the next street where one old house had a small statue of a boy with a bushel set on a plinth on the house frontage. It was an old part of the village. After that we walked along a street and to the open green spaces of Primrose Hill of which part is set aside as community woodland. It was a pleasant walk along the lanes of Primrose Hill which brought me and Chris into Bath. 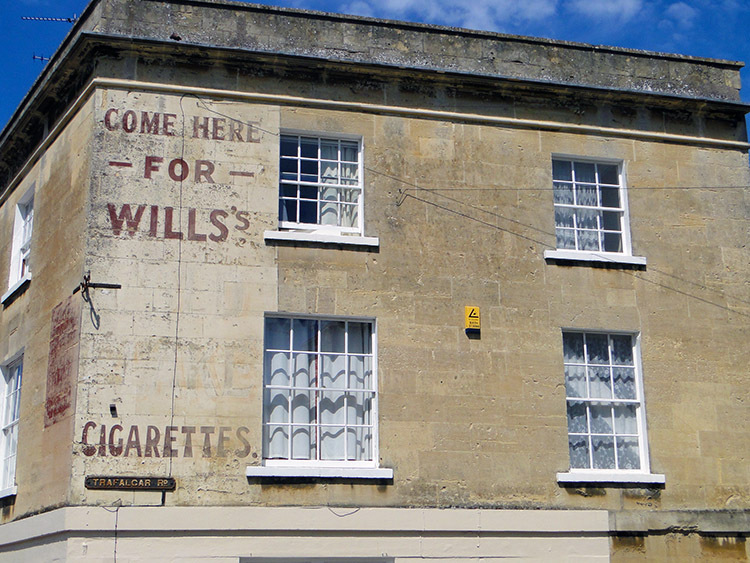 The walk through Bath began with a very pleasant surprise. 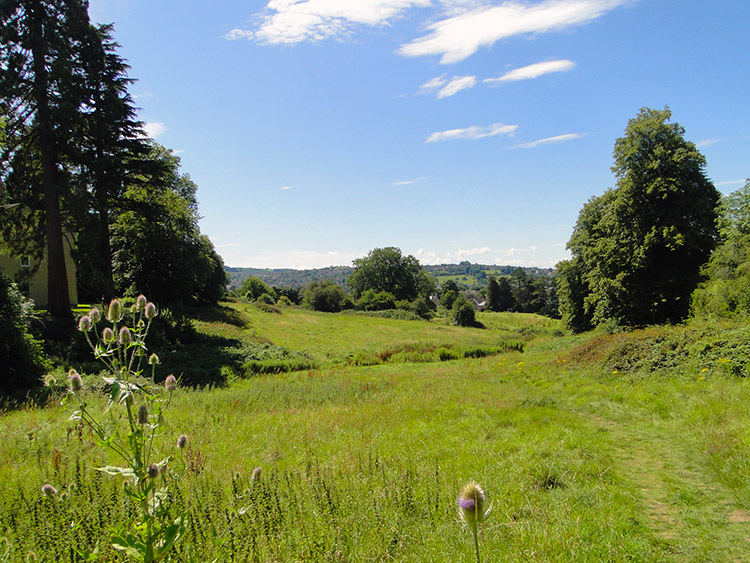 I was on the final miles of my Cotswold Way journey and they led us across common land where Butterflies fluttered by and where wild flowers, unimpeded Nettles and a scattering of Thistles shared the common with the grasses. High Common did not feel like being in the city at all and nor did Royal Victoria Park which came next. The only clues to city life were the small golf course on the lower side of High Common and the people who began to appear in small groups and who then came in greater numbers as we crossed Victoria Park. We exited the park by passing the Obelisk of the Victoria Majority Monument which led us to the sight I had most wanted to see. I looked in awe at the sight before me which is Royal Crescent. The crescent is an immaculate row of 30 terraced houses with a pristine green laid out before the frontages. Of course have seen similar crescents before, in York and in my home town of Harrogate but none on this scale. Royal Crescent is famous and rightly so, it is a superb example of English Georgian architecture at its very best. I loved it. After taking as much as I could in without boring Chris who had seen it all before we continued to the end of my Cotswold Way adventure in the centre of the city. 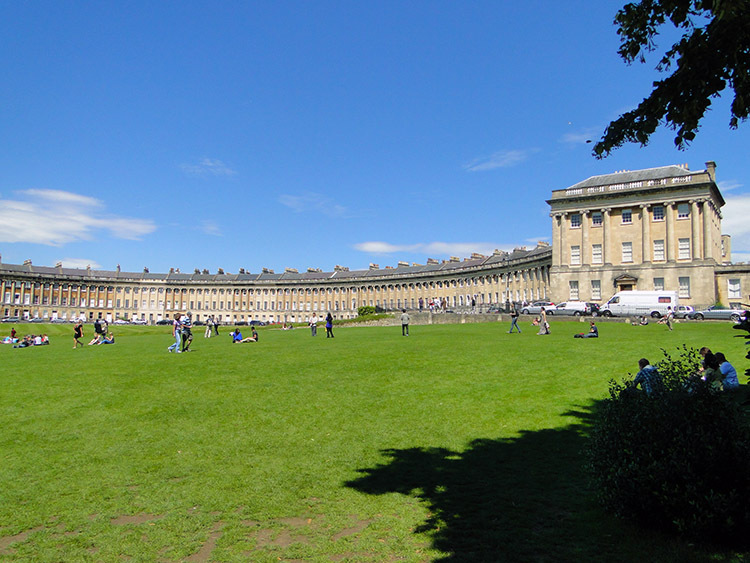 From Royal Crescent we walked to the Circus where more lovely curves of Georgian terraces are set on the four quadrants of a road roundabout and then we walked though more streets to reach the Roman Baths in the heart of Bath and to the end of my Cotswold Way. 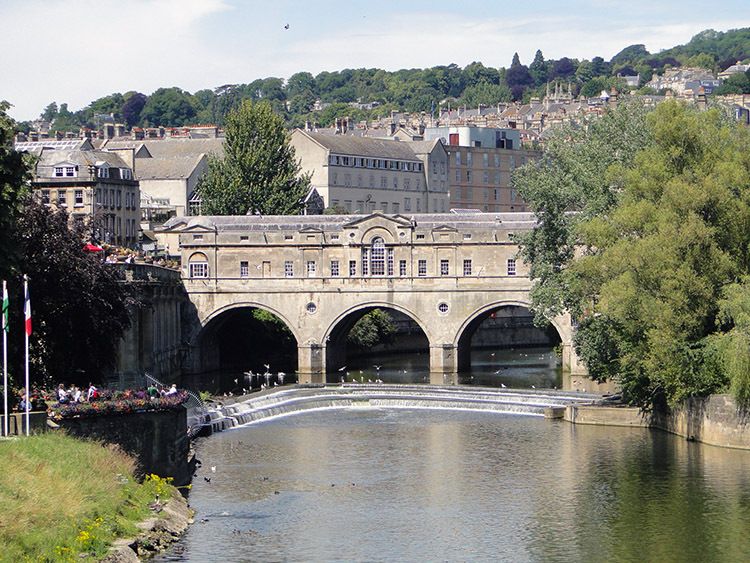 We continued a little further on to Pulteney Bridge and then Chris and I shook hands to officially end my Cotswold way National Trail walk and in doing so the eighth chapter of my Great British Walk. Chapter Nine would begin tomorrow. 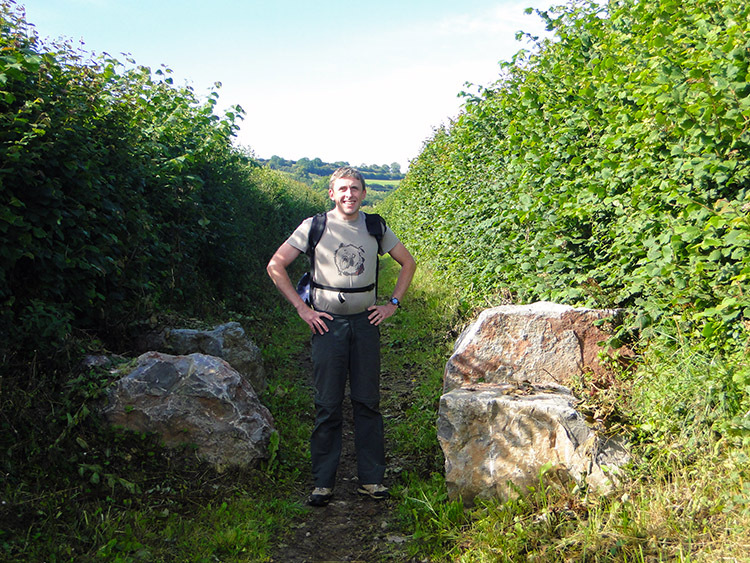 There is one more thing to do before I end this report on my Cotswold Way walk. Chris and I went back into town and for lunch before we parted. It was just past one o'clock in the afternoon. We found ourselves a lovely place and sat outside to enjoy our refreshments and then it happened. They flew in, appearing in droves. A Flying Ant swarm hit Bath and we had to shield the drinks from being dive bombed by them with place mats. If you read my report of the night in Chipping Campden on the eve of my Cotswold Way walk I had experienced a Flying Ant raid then. So, and remarkably so, I experienced two separate Flying Ant days. I found the timing of the Nuptial Flights an uncanny coincidence. We survived the infestation and lunch. And then my pal came back. Chris was leaving after his day with me but before he did we were joined by Strolling Steve. He had sorted the domestic things out that he had needed to and was now rejoining me to walk all the way to the end of my Great British Walk at the Lizard. On the way I could tell him all about my wonderful and memorable Cotswold Way walk.